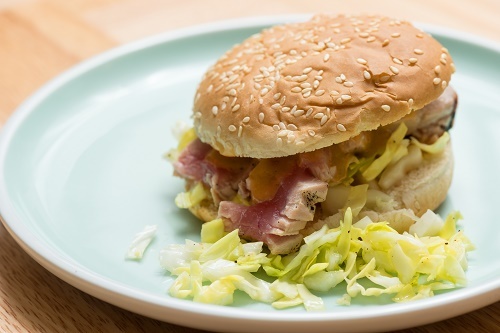 Tuna is a great alternative to beef in a burger. Preheat the grill to medium high heat. In a bowl, mix all the ingredients and form into four patties on top of aluminum foil. Wrap and grill until cooked through, about seven minutes per side.